Happy Monday! I hope everybody had a fun NSD and a good Mother's Day. I bet it was a busy weekend for many. Time for the winner from Wednesday's game. Congratulations to Silvia M! Connie will email you a coupon code. I hope everybody will join me again on Wednesday. Connie's storewide sale is still going on through tomorrow. Everything is 50% off, excluding bundles, grab bags and other products that are already discounted. 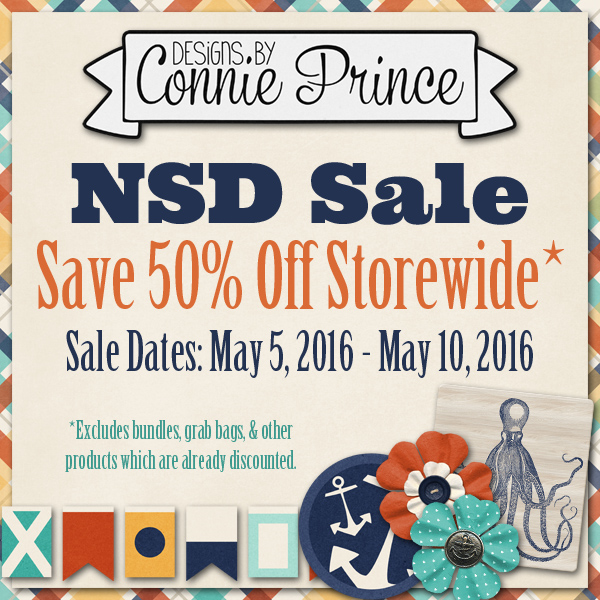 This is such a great deal to pick up some of Connie's amazing products for a great deal. 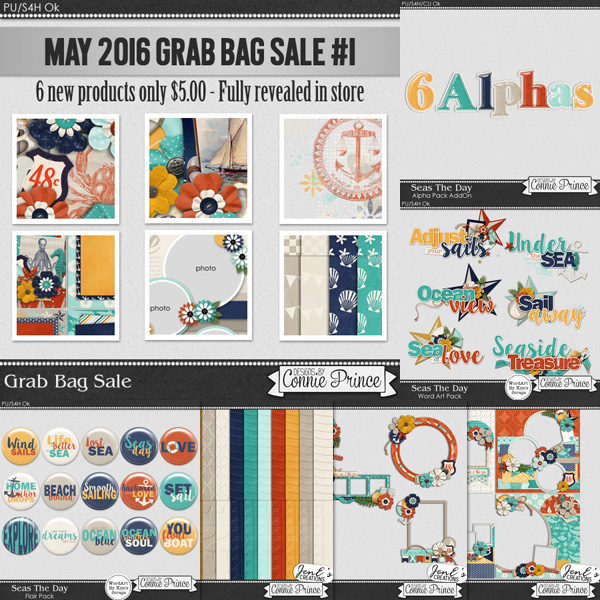 Be sure to check out the grab bags as well. Grab bag #1 is Seas the Day. This is a beautiful, nautical themed kit. You can see the full reveal in one of Connie's stores: GottaPixel, GingerScraps, TheDigiChick. Grab bag #2 is My Life Song. This is such a pretty kit. I really like the color combination. 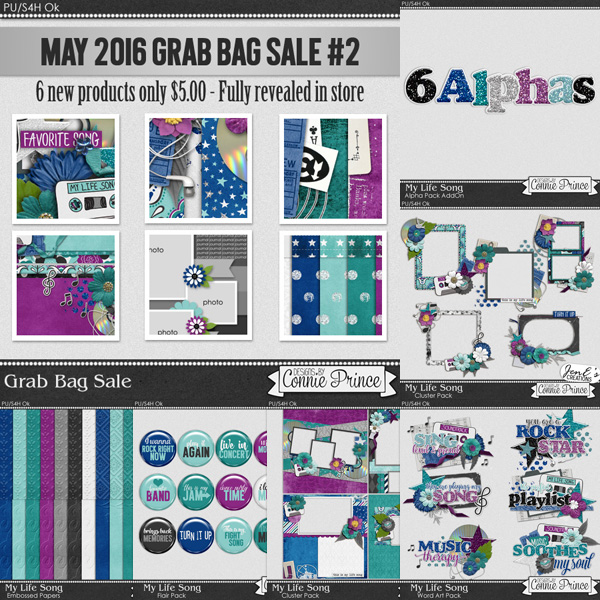 To see the full reveal on this grab bag you can visit one of Connie's stores: GottaPixel, GingerScraps, TheDigiChick. Last of all is you freebie. 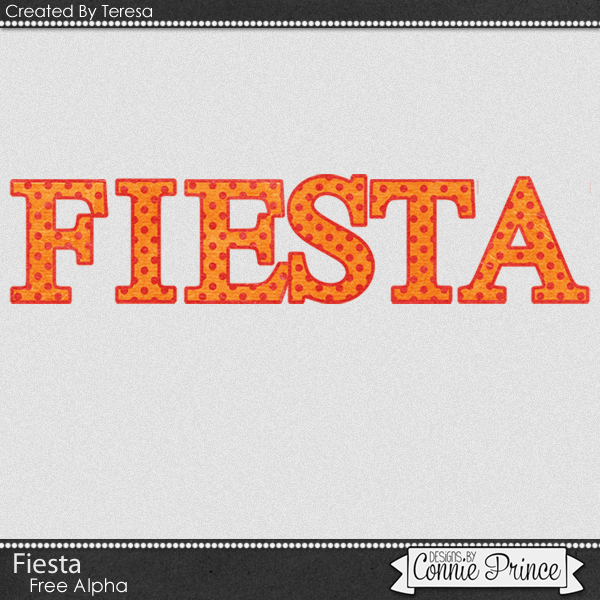 I used Fiesta to make an Alpha. It is in a file with the letters individual and one with a full sheet.